As Digital Marketing Manager at Lucid Software, I can really appreciate all the hard work that has been put into Kissmetrics. It’s a valuable tool for tracking, analyzing, and optimizing our marketing efforts, which include many day-to-day tasks that go above and beyond traditional metrics. Below, I’ve outlined six marketing questions Kissmetrics is helping us answer in ways you may not have considered before. 1. Where do I start with my reseller efforts? When you are just starting up a reseller program like we are, it may not make sense to start paying for a separate tracking solution right away. We are able to credit our resellers and affiliates for the customers that they send our way through their online presence. We don’t need to deploy a whole new solution for this—we simply use Kissmetrics to track the links we provide them. 2. How do I tracking content marketing ROI? 3. Is increasing registration conversions impacting revenue? It’s nice to know that Kissmetrics lets me tie back-end payment information that happens after the fact to the original trial registration. At the end of the day we are interested in the test version that drives the most revenue long-term, not just the version that converts the most people to trial. Kissmetrics makes it easy to keep those two versions distinct. 4. Which of my customers should I be calling to do market research? I am often interested in learning more about how a segment of our customer base uses our products, Lucidchart and Lucidpress, or how they first learned about us. Since Kissmetrics ties anonymous visits to our customers once they login, I can go back in time and say “show me everyone that did X events or visited Y page.” I can then use that customer list to do outreach. This proved very helpful to our team: we were able to effectively do our homework before we reached out, which means the people we were calling actually valued our calls. 5. How do I manage my marketing efforts across multiple products? When you have more than one product, it’s nice to be able to house all your testing and analytics in one place. I personally find this important, because ideas I test on Lucidpress might come from wins we originally got through Lucidchart testing. I can open a new tab and compare the set up on one domain, then quickly set up a test on a completely different revenue stream. Managing multiple domains also allows for another handy feature, which leads into my last question that Kissmetrics helps answer. 6. How can I test my analytics implementation before pushing it live? Testing can sometimes mean lots of moving parts, so it’s nice to be able to incorporate testing implementation into your QA cycle. We have a development, staging, and production server. 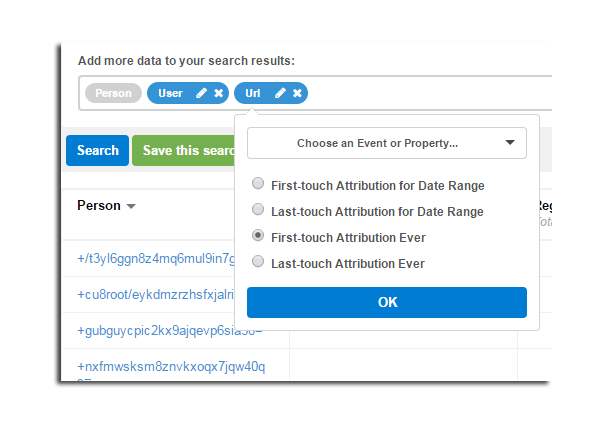 With Kissmetrics we are able to take a look at whether events and properties are being recorded properly in development and staging before they ever get released to production. This is great for me because I can get more eyes on our tests before they go out. Writing the acceptance criteria for the QA team gives me another chance to make sure that all my ducks are in a row. When I sat down to write out some of the possibly lesser-known advantages of Kissmetrics, I limited myself to just the few benefits I could rattle off of the top of my head and use every day. 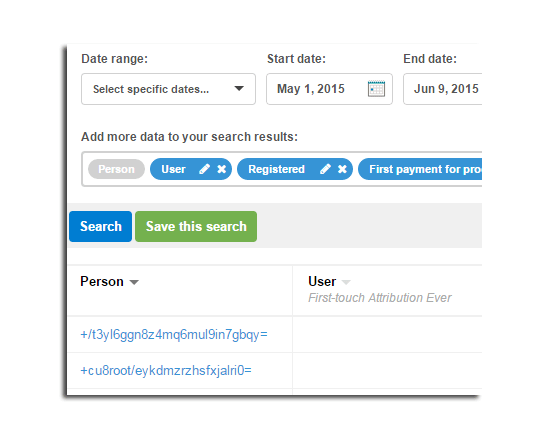 As a bonus, I want to mention that Kissmetrics is releasing new features on a regular basis. Whether it is robust regex support or their A/B test report, they are always focused on making their product more indispensable. 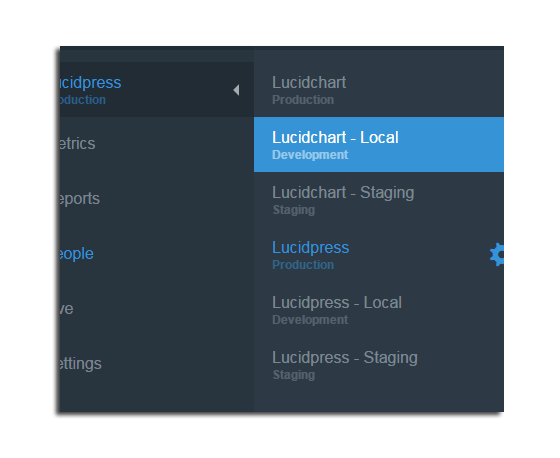 Lucid Software has been a client for years now and we are excited to see what features they add next! About the Author: Brad Hanks was the first marketing hire at Lucid Software, the creators of Lucidchart, a flow chart maker, and Lucidpress, an online design and page layout tool that makes brochures, among other things.